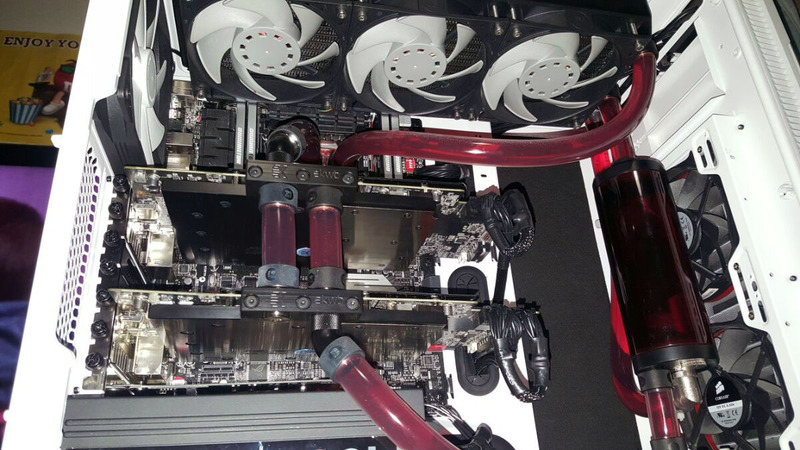 Do you have a drain port in your loop? Here's a small teaser of my new beast ... it's a work in progress, but it is coming together nicely. It only takes 5-600ml of water! but I've been wondering about how people make that decision to change parts of their PC, is it purely an experiential thing? or forced by a new game's requirements say? or is it just an itch and a twiddling of thumbs? the reason I ask is I'm sort of all 3 and I'm wondering if there is anything I could read on to give me greater insight into the field? I came from console a smidge over a year ago and I've thoroughly enjoyed having my PC, but with a few mods running (the community ballance patch if you play) I've noticed Civ 5 is taking a noticable time between turns compared to the 'super computers' streamers use on lets plays. I started off with a budget AMD build and after a while and a small lot of bonus cash, upgraded my GPU to a GTX970 and got another SSD to speed things up. So the few games I play, namely Civ and Battlefield (I'm the sort of chap who plays a lot of a few, rather than bits of many games) run on high settings at good frame rates. 1, where, if there is any, can you get info on when and why to upgrade? 2, is there a need for me to do anything with the CPU and if so, am I better going for a better AMD CPU or swapping to intel? My new build, haven't installed any hard drives or optical drive yet. Quite the post, however the reason you've not got much in the way of response is this thread is purely for showing off PC's, if you fire on over to either general hardware, or new build advice, you will definitely get a proper response, but I'll give a brief response. The reason most people change parts varies from person to person, I have a friend who built his PC, closed it up, and never opened it again. Others, as you can see with a quick read through this thread, are serial upgraders, those who see it as more of a hobby. Personally, if I have a bit of cash spare, I may look to upgrade one of the parts that I think is starting to hold me back. As an example, a few months ago, I bought a second 780 for my build. I didn't especially need it. However I knew Fallout 4 was set to come out soon so decided then was a good time (Ironically FO4 didn't have any decent SLI support, but anyway). If Civ 5 is lagging between turns, it points to a processor bottleneck. I really don't know what I'm talking about with AMD chips, but I'm sure that your one isn't one of the best processors out there. However, if it's handling things fine, you will be upgrading purely to save a few seconds off of each turn on Civ 5. With the upgrade to DDR4, I wouldn't sweat it yet, I think DDR3 is more than capable of coping for now imo. In terms of tidying up your PC, all I can recommend is that you take half an hour to watch through cable routing videos, and, the best tip, is to watch a system installation in your specific case, as you should literally see the best way to route cables. 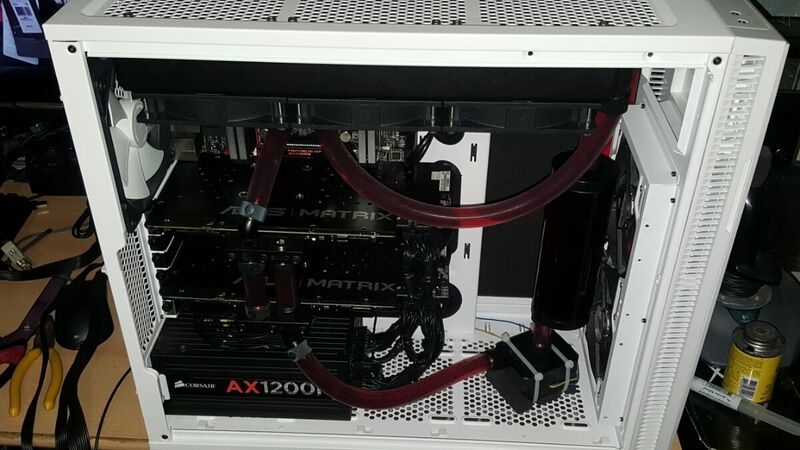 Closed water systems for CPU's are great, however again, if heat isn't an issue, you need to weigh it up. TL;DR if you're thinking of upgrades, don't lie to yourself, evaluate what you want, what you'll get, and how much it'll cost. Well, my rig is 99% of the way there now. Here's mine long, long overdue 24/7 rig! The three EK Vardar fans on the rad were ordered by mistake. I thought I had bought white ones but realised after they got delivered from Slovakia (EK shipped them to me directly) that they were the wrong colour. I stuck with them, though. They look pretty good. I may swap them out at some point, but for now, they are staying as is. 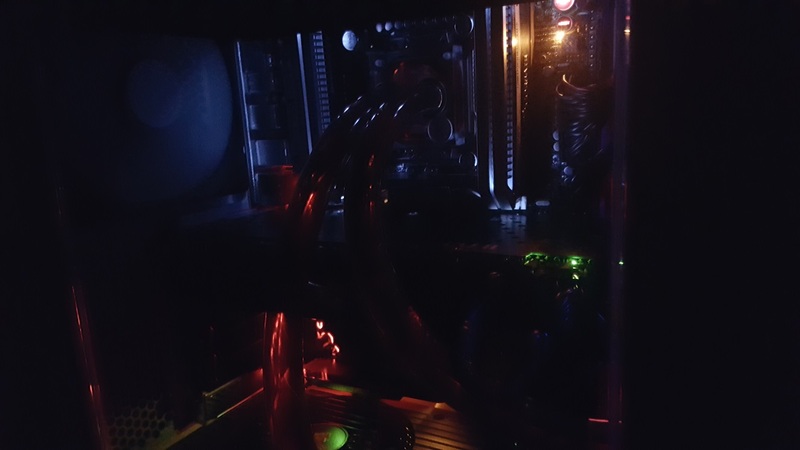 I originally had them in a pull config but I swapped them to push, so I had to drain the loop as the tubing wasn't long enough to stretch another 25mm to make up for the gap where the rad moved up. All I need now to finish the rig is an LED strip to light the inside up and to get a proper mouse again. Last edited by TheMadDutchDude; 02-06-16, 09:16.